Please register and make payment prior to March 15, 2019, to get the reduced registration fee. 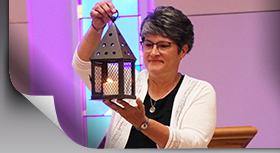 Mercy Associate Kathleen Wade, presenter, will explore the theme “Legacy, Love, Leadership: The Unfolding Associate Path.” Contact the Presentation Associate Partnership office at 563.588.2008 (Ext. 608) or associates@dubuquepresentations.org if you have questions. Overnight accommodations are available at the Best Western Plus Hotel. Reservations to stay at the Presentation Motherhouse at 2360 Carter Road in Dubuque are available at no cost. These reservations must be made prior to March 15, 2019, by contacting Jean Lange at 563.588.2008 (Ext. 155) or jean@dubuquepresentations.org. Register today by downloading the CARMA Brochure and Registration Form.